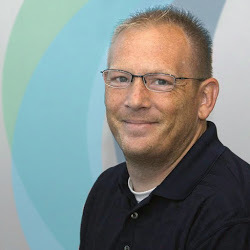 This week we're showcasing Data Integrity Specialist, Rob Smith. Rob has been at Mortech for nearly four years. He lives in Lincoln with his wife Chelle and their three kids Pearce, Parker, and Preston. Favorite things to do on his days off: Fishing, biking and spending time with my family. Favorite place to travel: The Black Hills and Estes Park. Favorite thing about working at Mortech/Zillow: The laid back atmosphere is nice, and you won’t find a better group of co-workers anywhere else. Favorite feature of Marksman: The ability to create a custom rate sheet using the investors in your account. This allows to pull best ex pricing from all your investors or only the ones you select for the products you choose to put on your rate sheet. You can also manage your price by using profit cost adjustments. Marksman Insider Tip: Profit Cost adjustments are the easiest way to control your pricing in Marksman. They are easy to set up and manage, so start using them today.